A friend that I had not seen in years asked me a while back what I was doing now. As I began to explain my work with Hope Springs International in Africa, and before I could finish he interrupted with this response. “Yeah, I know all about those rice Christians.” His years in Vietnam had colored his view of mission work in developing nations. He saw hungry masses responding to preachers offering food and determined this was really all they were interested in. I am sure there was an element of truth in his observation, but to judge all work among developing nations this way was not only unfair, it was personally disheartening. I just received a report from Pierre Rimorbe, Evangelist in Dono-Manga, Chad. He reported that 12 more people had put Christ on in baptism; hardly a picture of masses coming for the loaves and fishes. It takes time to reach people who have been steeped in Animism and superstition all of their lives. When the love of Christ is demonstrated, with no strings attached, hearts are opened to hear the message of a God who loves them more than they could ever know. Our work with local churches simple provides a context for the Gospel when it is preached. That is what Jesus did. We invite you to join us in bringing “Lasting Change”…one village at a time. Want to learn more, donate, or ask a question? You can do it all right here: www.hopespringsint.com. Categories: Uncategorized | Tags: Love of Christ | Permalink. 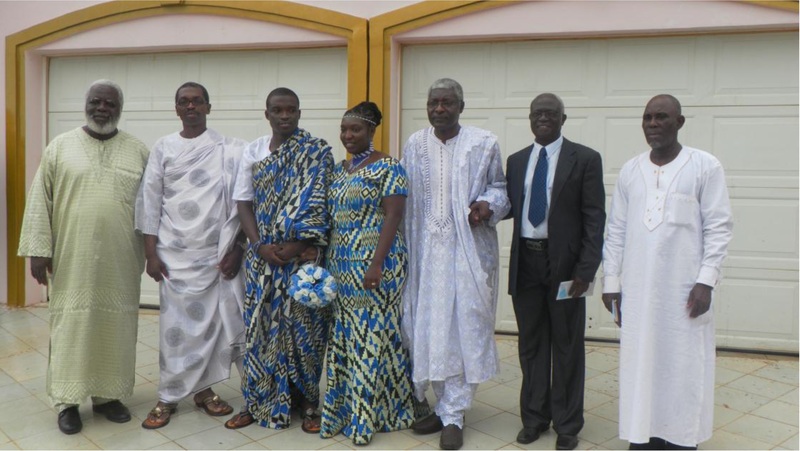 Directors of Village of Hope Ghana – George Amuasi 3rd from Right at 61 years of age. I know this to be true first hand. 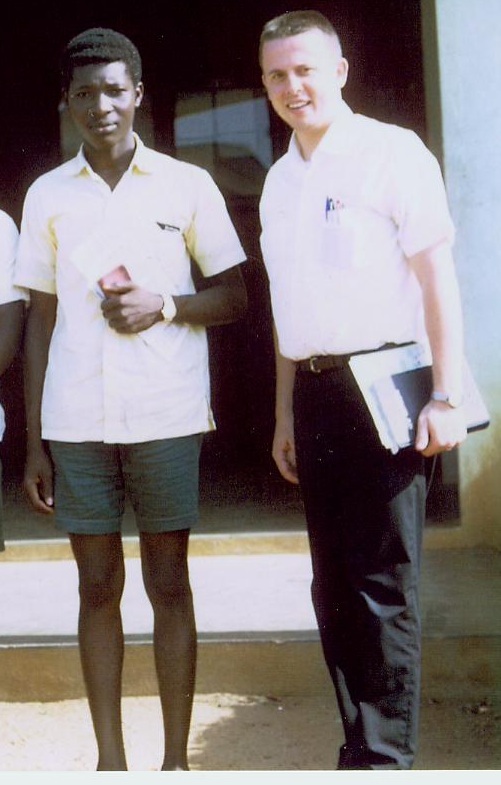 In 1970 while on a short missions trip to Ghana, West Africa I shared the message of Christ with a 17 year old young man by the name of George Amuasi. He came to Christ and was baptized in the ocean in the coastal town of Winneba. How could I know that George would be instrumental in starting a church in Winneba, go on to college, medical school in Ghana and London, become a pediatrician, marry, have three children who are all Christians, and serve as a Shepherd to this day with the church in Tema, Ghana? We are laying a foundation in Dono-Manga that we believe God can use to reach out to all of southern Chad and neighboring nations. Do we know how that will develop? No, but we know when we entrust our efforts into His hands he will use them to accomplish His purpose. A young couple recently made a sacrificial donation to Hope Springs to purchase a solar powered refrigerator for our Jordan Health Center. What I said about their gift in a recent blog is really true of all the gifts we receive here at Hope Springs. “We praise God for those with willing and able hearts, who have been blessed by God who in turn become a blessing to others. Maybe one of the blessings of heaven will be God showing those who give in such a way how many lives they saved and the good their gift accomplished”. May God give us the insight to know that He can and will use our talents and gifts to accomplish His will regardless of whether we ever see the fruits of those gifts in this life or not. You will soon be hearing about expansion plans in Dono-Manga that will include an addition to our Jordan Health Center, and a new school that will provide an education to at least 500 students. All of these works are being structured to become self-sustaining works that will not require ongoing financial support from outside sources. Hope Springs is committed to bringing Lasting Change-one village at a time. Thank you for partnering with us to be Jesus to those who have never known Him. Poisonous snake bites resulting in death or amputation are a great problem in Chad. The problem is often dwarfed by the greater needs of potable water, health care and food production. But it is never the less a serious problem in Dono-Manga. Dono-Manga is home to the Puff Adder (pictured at the left), Boomslang, West African Carpet Viper, two types of Cobra and the deadly Black Mamba. Bites from Cobras and Mambas can be deadly because their venom can cause paralysis of the muscles needed to breath, leading to death from lack of Oxygen within six hours. 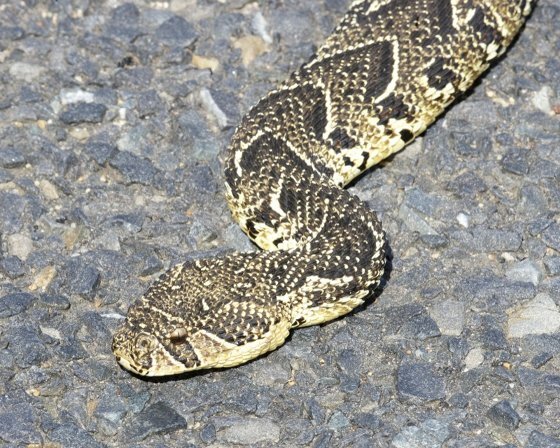 The West African Carpet Viper can cause hemorrhaging leading to death. While not all venomous bites cause death, many do result in amputations and the younger the victim, the greater the likelihood of death. The inability to reach medical care is one of the biggest issues in the treatment of venomous snake bites. This was made crystal clear last week when the son of one of our key men in Dono-Manga was bitten by a poisonous snake. We were only able to treat symptoms at our Health Center because we did not have a refrigerator required to store the anti-venom. Local officials were later encouraged to drive him to the nearest hospital and he survived. But many don’t survive or suffer lifelong handicaps. I am thrilled to tell you that we will soon have a new solar powered refrigerator installed at the Jordan Health Center in Dono-Manga. Thanks to the generosity of a young couple who has had a heart for our work for some time now the $2,100.00 to purchase this life saving refrigerator will soon be on its way. The refrigerator will do much more than store anti-venom. Many medications we could not previously store will now be on hand for immunizations and treatment of other illnesses. We praise God for those with willing and able hearts, who have been blessed by God who in turn become a blessing to others. Maybe one of the blessings of heaven will be God showing those who give in such a way how many lives they saved and the good their gift accomplished. Categories: Snakes and Snake Bites | Tags: Chad, Snakes and Snake Bites | Permalink. In January of this year Lindsey McDuffie and the members of Crossfit Hendersonville made a commitment to provide $10,000.00 to help ship our new portable well drilling rig to Dono-Manga, Chad in Central Africa. 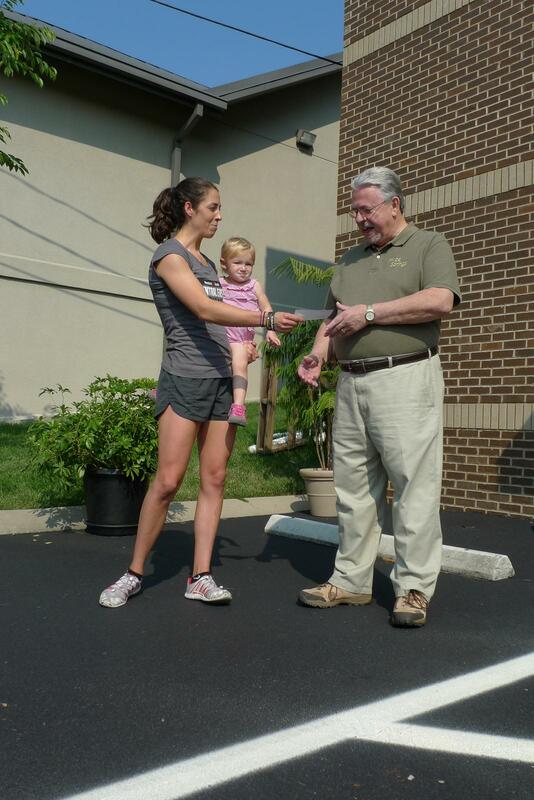 In May they presented Hope Springs with a check for $6,000.00 and said they would have the rest by the end of September. This week I received an invitation from Lindsey to join them on Friday September 7th when they will present Hope Springs with their final installment. Since 2009 Hope Springs’ projects have rehabbed 26 out-of-service wells, and drilled 35 new wells bringing clean water to an estimated 91,000 people. Shipping this new rig to Chad will enable us to drill many more wells in target villages throughout southern Chad. Each time we add a new well another 1500 people on average receive safe drinking water. We deeply appreciate the efforts of Lindsey McDuffie and CrossFit Hendersonville, and their decision to bring lasting change to a small part of our world. Click here if you would like to check out CrossFit of Hendersonville. If you would like to learn more about how you or your group can make a difference drop us a note at: hopespringsinternational@yahoo.com. We would love to partner with you to bring lasting change to our world, one village at a time. Categories: Chad, Dono-Manga, New Wells, Water, Well Drilling, Well Drilling Rig | Tags: Dono-Manga, New Wells, Portable Well Drilling Rigs, Water, Wells | Permalink. You made a difference in the lives of hundreds of people by your gifts. Malaria is the 2nd leading cause of death from infectious diseases in Africa, after HIV/AIDS. A Treated Mosquito Net is the number one preventative of Malaria and not affordable to the vast majority of the people who need them. Half of the children born in rural Chad will die because of a lack of portable water and no protection again mosquito bites that often result in malaria. Hope Springs International is committed to providing solutions to both of these major problems. Categories: Chad, Child Mortality, Dono-Manga, mosquito nets | Tags: Chad, Dono-Manga, Mosquito Nets, Preventable Death of Children | Permalink. Can you imagine paying a week’s salary for a mosquito net? 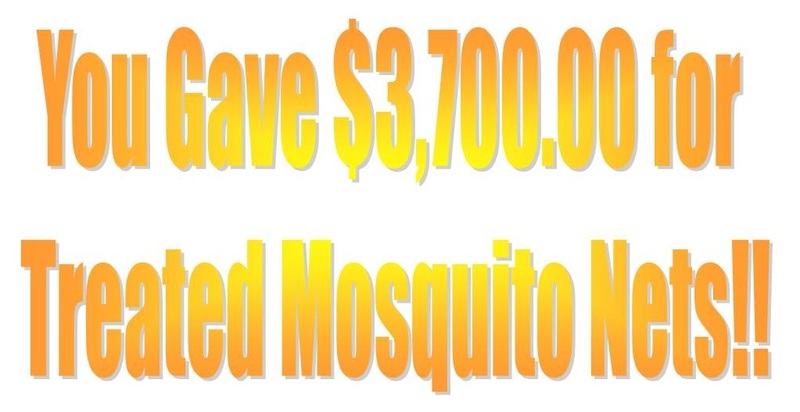 We will be making the wire transfer of funds for treated mosquito nets one week from today. Each net cost only $10 each. That is about the price to two cheap meal deals at McDonald’s. In Chad families live on about $2.00 a day, or about $600.00 per year. $10.00 is a week’s salary in Dono-Manga, Chad. Can you imagine paying a week’s salary, considering what you make per week, just to protect your child or pregnant wife? You and I could do that and still feed our family, the Chadian family could not. There is still time to make a donation through PayPal at our website: www.hopespringsint.com (Click on the PayPal symbol in the upper right hand corner of any page), or by snail mail to: Hope Springs International, 118 Wessington Place, Hendersonville, TN 37075. You won’t miss the $10.00, but a pregnant mom or child in Dono-Manga, Chad will. Categories: Chad, Child Mortality, Children, Death, mosquito nets | Tags: Chad, Child Mortality, Mosquito Nets, Preventable Death of Children | Permalink. 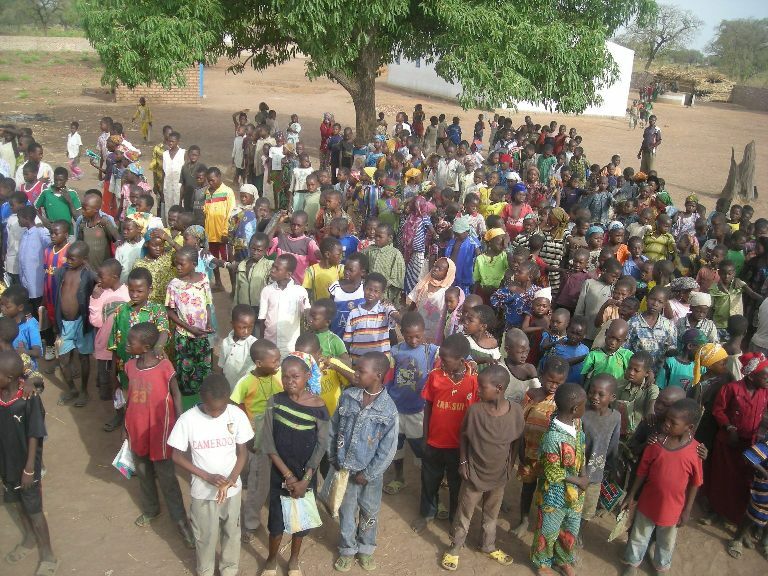 We have just received this urgent message from Pierre Rimorbe, Evangelist in Dono-Manga, Chad. In our last update, we challenged you to be a ripple. We asked for you to help make a difference of life and hope for the people of Dono-Manga. This situation of Malaria-caused deaths still escalates and now the situation is dire for the children and pregnant women of Dono-Manga, Chad. Now we beg you to help us save lives. 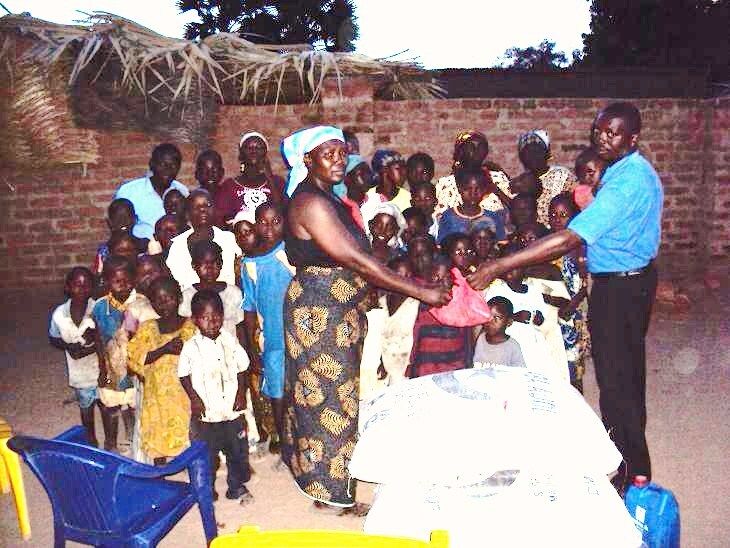 Nursing Mother receives a treat mosquito net. there not just to teach them life sustaining skills and spread the love of our Father, but we are there to save lives and give them a chance. The African Region accounts for 85% of malaria cases and 90% of malaria deaths worldwide. 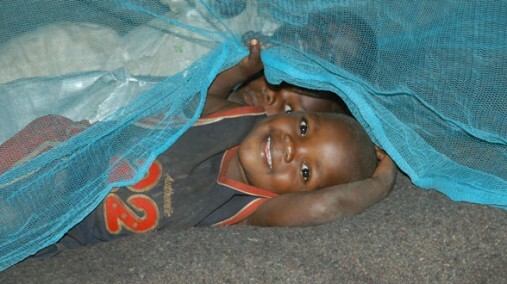 85% of malaria deaths occur in children under five years of age. Every 30 seconds a child dies from malaria. 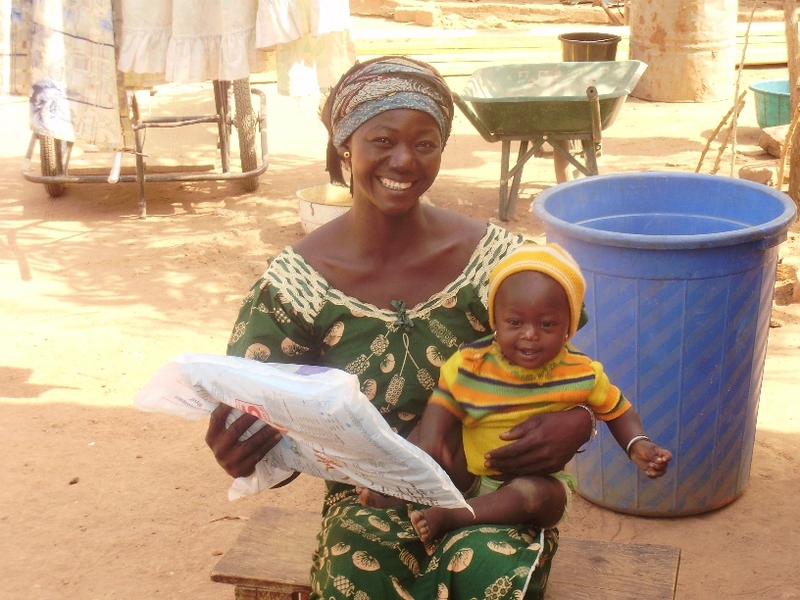 Malaria episodes in pregnant women cause anemia, and other complications in the mother and newborn child. In 2010, malaria caused an estimated 655 000 deaths (with an uncertainty range of 537,000 to 907 000), mostly among African children. Malaria is the 2nd leading cause of death from infectious diseases in Africa, after HIV/AIDS. Pregnant women have increased susceptibility to Plasmodium falciparum malaria; in malaria-endemic countries, P. falciparum contributes to 8-14% of low birth weight, which in turn decreases the chance of a baby’s survival. 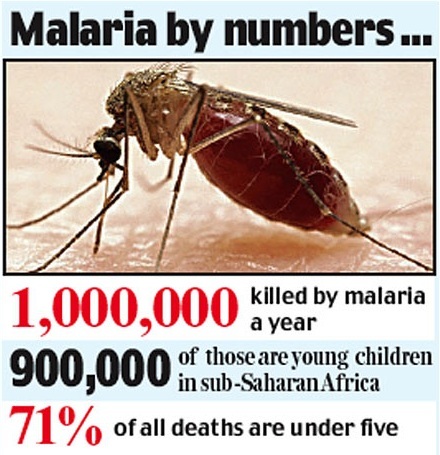 Malaria kills more African children than any other disease. People who have little or no immunity to malaria, such as children and pregnant women, are more likely to become severely ill and die if bitten by an infected mosquito. Children who survive episodes of severe malaria may develop learning impairments and brain damage. Categories: Chad, Child Mortality, Children, Dono-Manga, mosquito nets, Orphans | Tags: Chad, Children, Dono-Manga, Mosquito Nets | Permalink.